Construction workers building a gas pipeline from Albania to Italy have stumbled upon dozens of ancient sites that contain treasures from as far back as the Neolithic age. The discovery, thought to be one of the largest ever found in Albania, prompted authorities to invite dozens of archaeologists to investigate. "We discovered a lot of findings, jewellery, weapons … a lot of pottery,” says Abkons’ senior archaeologist Iris Pojani from one of the settlements in Turan, which lies 180 kilometres southeast of the capital, Tirana. “[There are] weapons, spears, some daggers, knives and maybe swords. We have a lot of jewellery like rings, earrings and amber and glass beads — a lot of them." 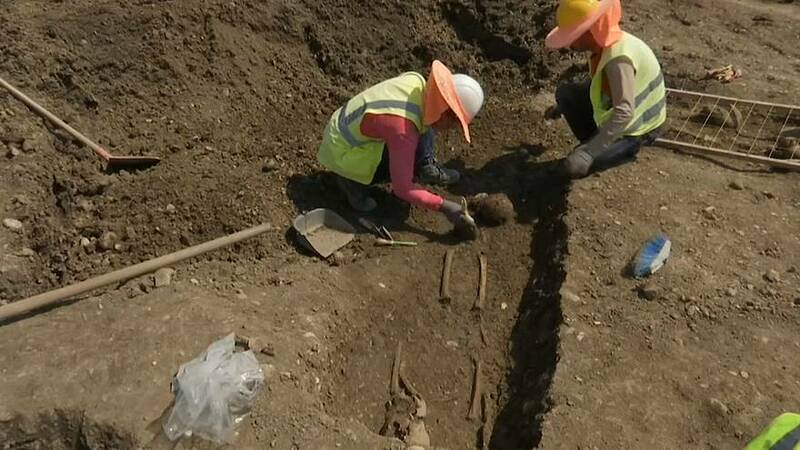 The 50-strong team of archaeologists excavated hundreds of skeletons, graves, and objects from around the Iron Age (1100 BC), through to the late Roman age (200 – 600 AD) and even more developed graves from Medieval times, until digging wrapped on September 28. But they were surprised to find evidence of a settlement stretching even farther back into distant history. "Underneath the layer of the Iron Age, we had a Neolithic settlement and we have discovered maybe a village and many, many artifacts related to this period," says Pojani. The Neolithic Age was the last division of the Stone Age and preceded the Bronze Age. The site is one of around 30 that have been found during works to construct a gas pipeline connecting Albania to Azerbaijan, Turkey, Greece and Italy via the Adriatic Sea. But the work, which is being monitored by the central authorities, will need permission from the National Council of Archaeology to continue due to the area’s historical significance.